The community hall can serve a variety of purposes. It can be filled with chairs for presentations on the stage (2 microphones and projector provided), or it can be cleared out for expos or networking events. There's also a long counter space available for catering. The community hall holds up to 100 people. The classroom is ideal for workshops and classes. It has a projector, easily-movable tables and chairs and counter space for catering. It's surrounded by a thick, black curtain for privacy and noise reduction. Whiteboards can be wheeled in and out of the spaces as needed. The classroom holds up to 20 people. The boardroom is perfect for large business meetings. It's equipped with a large TV with HDMI connection, a large whiteboard, conference phone and counter space for catering. 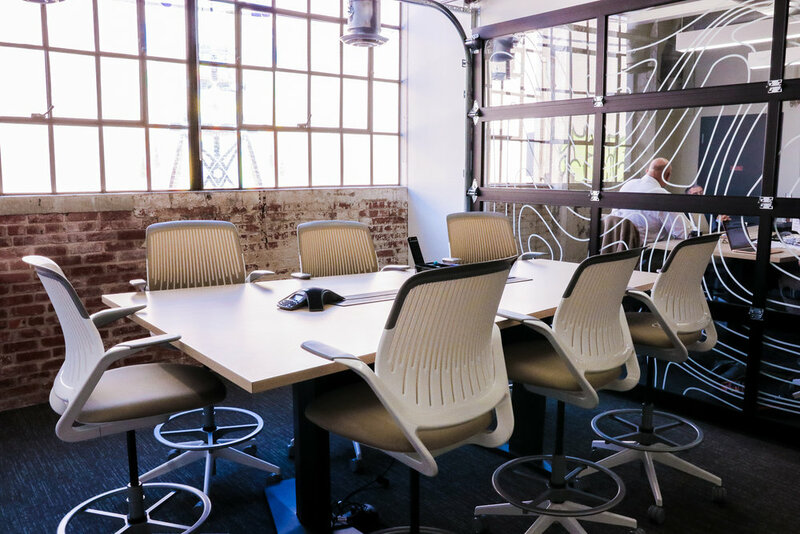 Up to 16 people can fit around the conference table in the boardroom. 36 Degrees North has six other types of conference rooms that each hold 6-10 people. Most have a large TV with HDMI connection, a conference phone and a white board. Click here to see a list of our conference rooms. Please provide the name of the person responsible for organizing all event planning and logistics. What day do you need a conference room? Reservations only available on weekdays. What time do you want your rental to begin? Reservations only available 8:00am-6:00pm, Monday-Friday. What time do you want your rental to end? Please select your top three. Unless otherwise noted, all rooms are $25/hour. Thank you! We’ll reach out soon to confirm your booking. For assistance, contact our front desk at (918) 884-3550.